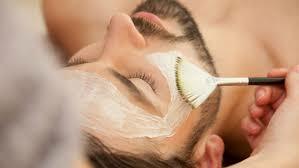 A Spa Above accommodates men's skin care needs. Let us customize a facial especially for you. Your treatment will include a deep cleansing, exfoliating, extractions, as well as a face, and neck. Our natural, organic products with active ingredients aid all individual needs. Steamed towels, non-perfumed, natural products make for a relaxing, result oriented facial.